Happy Friday, everyone! You made it through another hard week. Be proud of yourself! This little cute guy is brought to you by Brandon Frazier and all his yumminess (though I’m not sure he’s aged very well, poor fellow—neither him nor his career). I’m none too fond of The Mummy movies, but I have to say, there’s something for ancient Egyptian history that I find completely fascinating. . . especially after watching Elizabeth Taylor‘s Cleopatra. And The Blob is just so cute wrapped all up in toilet paper. Thanks to Katie Flenner and Chad Brown for the suggestion. 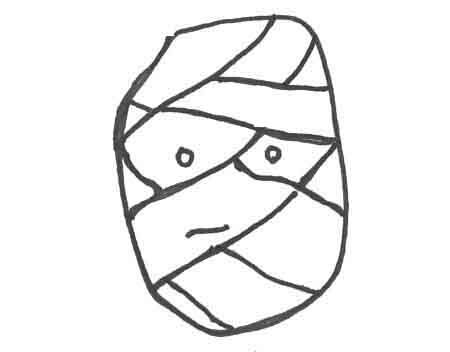 This entry was tagged blob, Blob-o-ween, Brandon Frazier, Cleopatra, Egyptian history, Elizabeth Taylor, Friday, Halloween, Halloween costumes, Holiday, People, The Blob, The Mummy. Bookmark the permalink.